Break out the bunting, because we’ve just discovered Jupiter has two more moons than we thought, bringing its grand total up to 69. The moons currently don’t have names, being instead labeled on their discovery date: S/2016 J1 and S/2017 J1. The “S” here means satellite and the “J” means Jupiter. 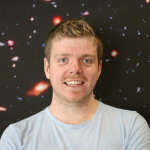 They were found by a team of astronomers led by Scott Sheppard from the Carnegie Institution for Science. Both are thought to be about one to two kilometers (1.2 miles) in size. They orbit about 21 million kilometers and 24 million kilometers (13 million and 15 million miles) from Jupiter respectively. In a blog post, Sheppard said the moons were first observed in March 2016 and March 2017, with their positions verified by the Subaru telescope on Mauna Kea in Hawaii. They were found during a survey that was looking for Planet Nine in the outer Solar System. But in some of the images close to Jupiter, these two moons appeared. And there may be more to come, too. S/2016 J 1 takes 1.65 years to orbit the planet, and S/2017 J 1 takes 2.01 years. Like most of Jupiter’s moons, they also orbit in the opposite direction to how Jupiter rotates, known as a retrograde orbit. They have a high inclination (the angle between them and the “plane” of Jupiter’s orbit), about 140 to 149 degrees according to Sky & Telescope, suggesting they were captured when they swung too close to Jupiter. Their orbits are also highly eccentric, or elongated, around the planet. The size of both are consistent with many of Jupiter’s smaller moons; the four Galilean moons Ganymede, Callisto, Io, and Europa are bigger than the others by far, measuring 3,000 to 5,000 kilometers (1,860 to 3,100 miles) across. 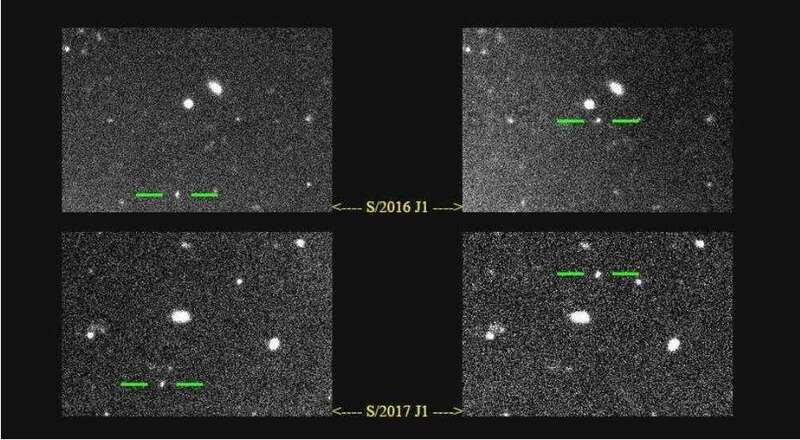 These are also the first new moons discovered around Jupiter since 2011, when two similarly sized moons were again found by Sheppard and his team. All of the moons larger than 100 kilometers (62 miles) across were known by 1979, when Voyager 1 flew past and discovered Thebe. For now though, it’s time to celebrate. This puts Jupiter in a clear first place in terms of number of moons, with Saturn in a dwindling second with a “meagre” 62. With Jupiter also being the biggest planet, and recently confirmed as the Solar System’s oldest world, it’s really adding to its trophy cabinet.